The following content will get you started with Web HMI, building your own web user interfaces with real time data. If you are interested in visualizing your data in a desktop or mobile browser with zero programming, you may be interested in Getting Started with the Web HMI Dashboard. To use the Web HMI interface you must first register the Web HMI libraries. 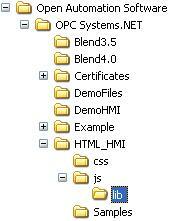 This is done with the OAS Service Control utility with the Web HMI Registration. Define the exclusive Node Name and Port Number that is to be supported. The Node Name should be set to the Network Node Name, IP Address, or registered domain name that all client applications will browse to. This will be the serverURL that all HTML clients will specify. Unless you are using a server with multiple network interfaces, keep the Node Name set to localhost. Using SSL with Web HMI is fully supported. NOTE: Networking to other OAS Services is easily supported by defining the IP Address, Network Node Name, or registered domain name in the HTML code for the client. Use the Web HMI Wizard to define the remote networking nodes to multiple remote services relative to where the web project is hosted. Copy the 4 supplied files from C:\Program Files (x86)Open Automation Software\OPC Systems.NET\HTML_HMI, js and css subdirectories to your project directory keeping the directory structure just the same. 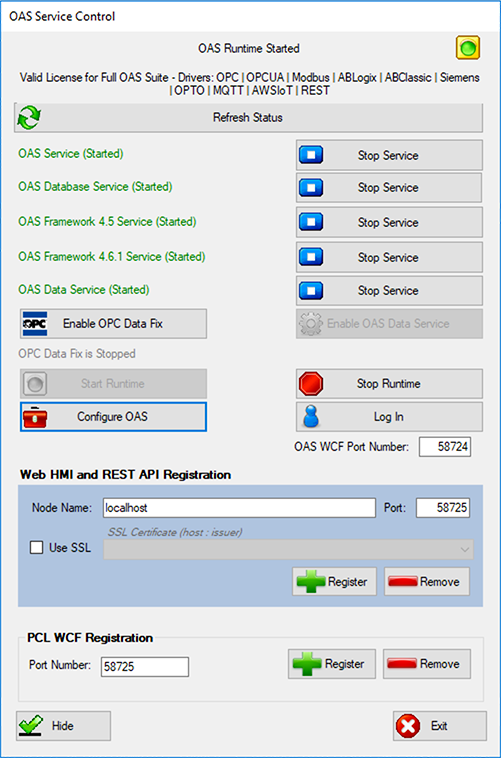 NOTE: Specify the serverURL that includes the Node Name and Port Number that has been registered by the OAS Service Control Manager. If you are new to HTML code use the HTML Wizard code generator at http://opcweb.com/wizard/ to generate the code for you. Finally below the Pump code add the following to create a button that will allow you to “Toggle” the Pump Value. NOTE: To be able to set a value (write to it) it must first be setup to read in the web application. If you do not find the IIS Manager under administrative tools please add IIS to you operating system using add remove programs. Right click on the default web site and add a virtual directory linking to your project directory. Use myWebHMI as the alias name. Then browse to your project directory for the physical path. 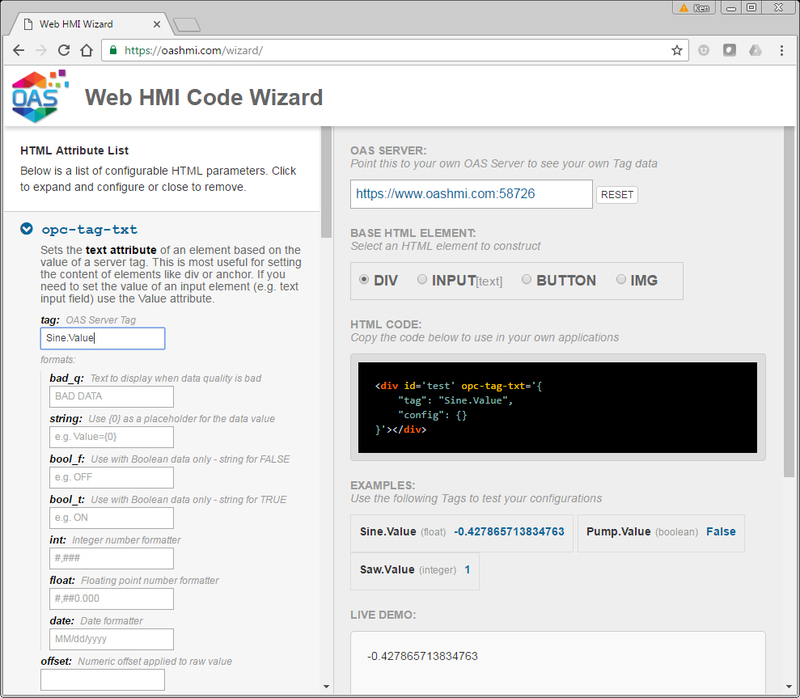 Open Automation Software provides a tool for automatically creating the HTML code to read and write to Open Automation Software Tags using the HTML HMI Wizard.